the new rage of quality easy models. 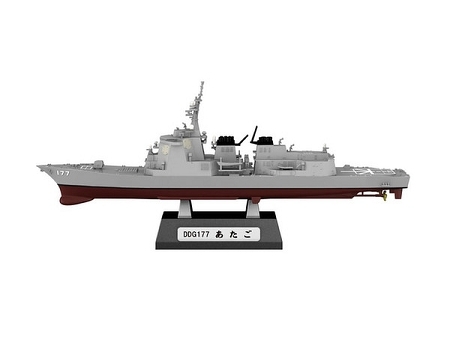 Is an Atago class guided missile destroyer in the Japan Maritime Self-Defense Force (JMSDF). Atago was named for Mount Atago. She was laid down by Mitsubishi Heavy Industries in Nagasaki, Nagasaki on April 5, 2004, launched on August 24, 2005 and commissioned on March 15, 2007.